This past Sunday was a true wintery day here in the north. It snowed most of the day and it was cold and windy, not a good day to be out and about. So instead I was in the kitchen baking and cooking. It is always nice to have the oven on when it is so cold outside. 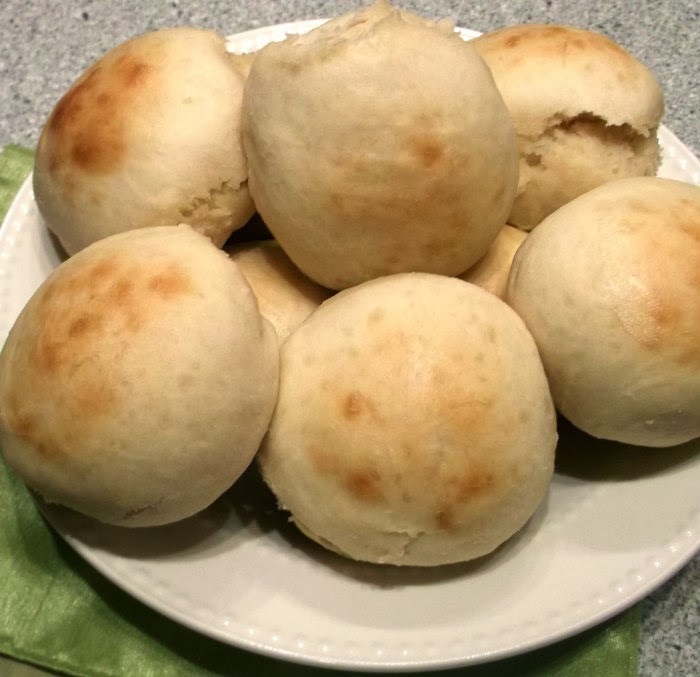 I was looking for a new bread recipe, when I came across this recipe that was called 30 minute rolls. 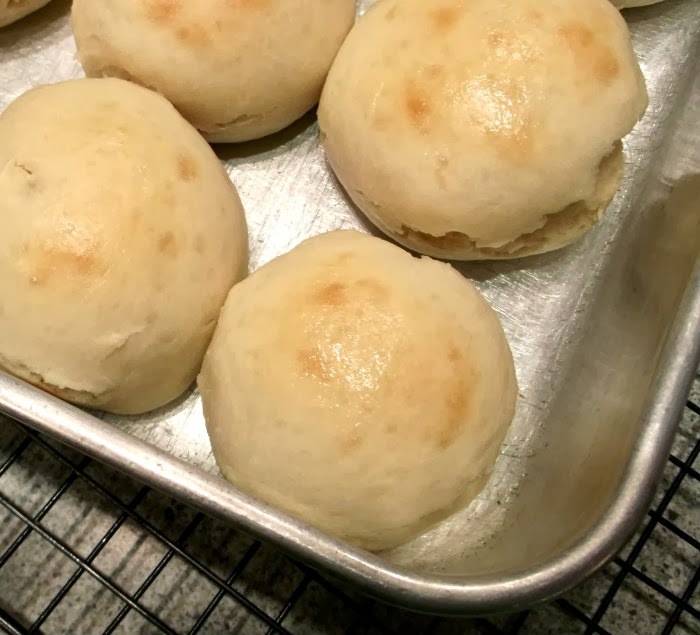 I have to say that it caught my eye, because they are a yeast roll and if you know anything about yeast… you don’t normally have rolls in 30 minutes. Well of course I had to try this recipe; I really wanted to see if yeast rolls could actually be done that quickly. So I made the dough, and it was nice and soft, just the way it should be. I followed the recipe for forming the rolls and for the resting time. But I ended up baking them just a touch longer than the recipe called for. So they were done under 45 minutes. And we all agreed that the flavor of the rolls were as tasty as if they would have been made the traditional yeast roll way. 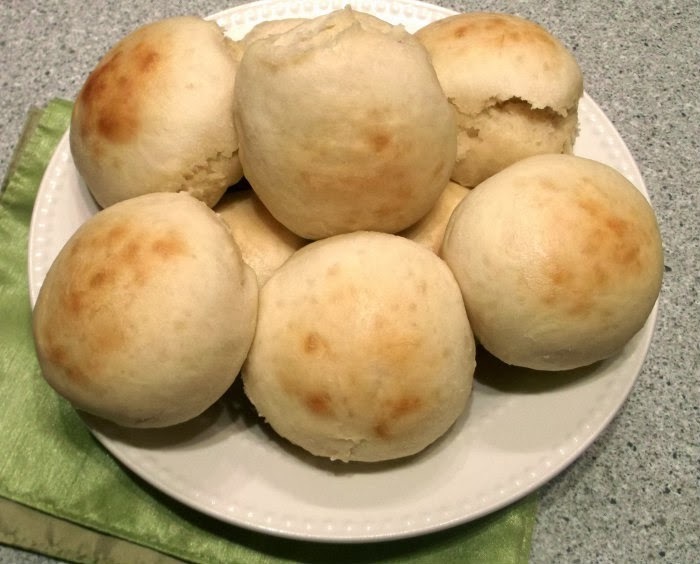 The texture may have been just a bit heavier than your traditional yeast rolls, but over all I thought they were great. I will be making them again, especially when I am crunched for time. 3. Mix in the eggs followed by the flour and salt. Knead by hand until the dough is soft, a few minutes. 4. Form into 12 balls, place them in a greased 9×13-inch pan and let rest for 10 minutes. Bake in a preheated 400 degree F oven for 12 to 15 minutes or until golden brown. Once they come out of the oven brush the tops with butter. The worst thing about making bread is that you have to plan ahead, not just decide at the last minute. Now with these rolls, you really could decide that you’d like to serve rolls with dinner at the last minute. Ooo this is definitely a useful recipe to have around! 30 minutes is not much at all! Gosh, these really are quick and easy to make! Great recipe – one I should make. Thanks.